King Arthur’s School has been showered with compliments recently following a day of “active citizenship” from its students. The theme for a “Focus day” was to deliver a series of ‘Community Projects’ that would allow students from Year 7 and 10 to get involved with organisations and people within their own town. The school did not just want to teach about being good citizens but for students to be good citizens. 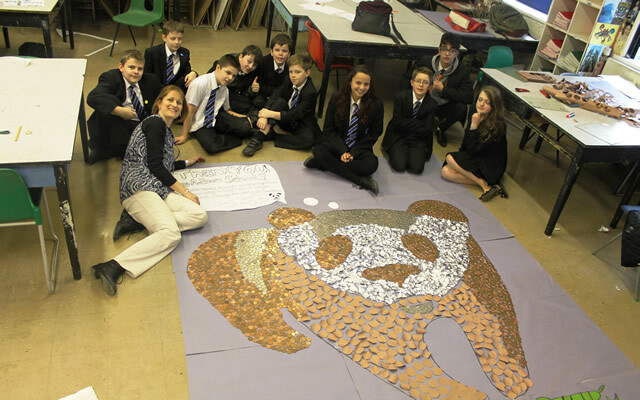 This project began with a couple of ideas from staff but once in the hands of the amazing young students, it rapidly became a major operation. 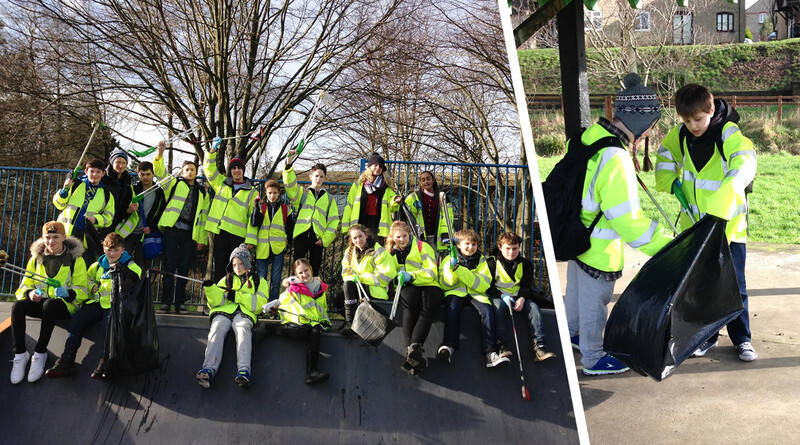 The activities included a park and church tidy up; delivering cakes to public sector workers, a nursery school party, a talent show in a residential home, sports activities working with local disabled people, a charity coin mural, voluntary bag packing, working with partnership schools and recycling initiatives. “We are a small school that is passionate about the impact our children have in the community; this was a great way to showcase the best of King Arthur’s Community School. We pride ourselves on opportunities like this and look to support Wincanton as much as we can. So far, in this academic year we have already taken part in the Carnival, Memorial parades, and Christmas concerts and countless festivals and workshops for our feeder primary schools.